The product of a long line of pastors, Reverend David Byron Cousin, Sr. was born in Norfolk, Virginia to Bishop and Mrs. Philip Robert Cousin, Sr. Rev. Cousin received his formative education in Durham, NC. 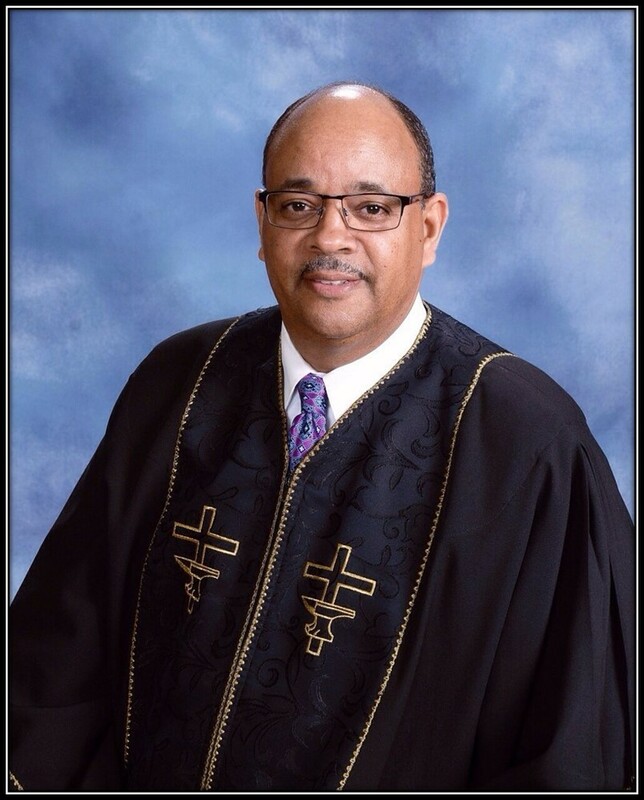 He relocated to Birmingham, AL in 1976 after his father was elected to the episcopacy of the African Methodist Episcopal Church. After graduating from high school in 1977, Rev. Cousin entered Alabama State University where he received his Bachelor of Arts degree in English. On May 13, 1984, Rev. Cousin received his Master of Divinity degree in Marriage and Family Counseling from Boston University School of Theology. While in seminary, Rev. Cousin was appointed by Bishop Richard Allen Hildebrand as the supply pastor to Mt. Pisgah AME Church in Salem, NJ. At the 1984 New Jersey Annual Conference, Bishop Hildebrand appointed Rev. Cousin as pastor of the church. In 1986, Bishop Frank Curtis Cummings appointed Reverend David as pastor of Mt. Pisgah A.M.E. Church, Princeton, NJ and in 1991 to St. Paul A.M.E. Church, East Orange, NJ. In 1995, Bishop Philip Robert Cousin, Sr., appointed Reverend Cousin to Emanuel A.M.E. Church, Harlem, NY and in 1997 to Bridge Street A.M.E. Church, Brooklyn, NY. The well-being and health of the community has always been a priority for Reverend Cousin. In Princeton, NJ, he was frequently relied upon by the late Mayor Barbara Boggs Sigmund to assist with implementing initiatives that brought residents of the community together toward a common cause. During his tenure in East Orange, he worked in closely with then Mayor Cardell Cooper to on issues confronting the city. While pastoring St. Paul in East Orange, NJ, Rev. Cousin organized a computer center in the church to teach and upgrade public school teachers’ computer skills in order to prepare them to comply with new teaching guidelines that had been implemented by the school district. The funding for this initiative was secured from local businesses including but not limited to Woody Funeral Home and Blue Cross/Blue Shield. While pastoring in Harlem, Reverend Cousin frequently met with members of community block associations to discuss and organize the delivery of services to community residents. A partnership was established between Emanuel A.M.E. Church, the West 119th Street Block Association and Rheedlen Centers for Children and Families to clean up community blocks. While at Emanuel AME, Reverend Cousin established monthly “Family Night” dinners/community meetings with the West 119th Street Block Association. In addition, many of the male youth living in the block gave their lives to Christ and joined Emanuel. As a result, weekly Bible Study/Rap Sessions were established to address issues of concern to youth. Reverend Cousin is proud to be married to his college sweetheart, Reverend Valerie Eugenia Kendrick of Anniston, Alabama. They are the proud parents of two wonderful boys: David, Jr. and Matthew Joseph; and one beautiful granddaughter, Melody Joan Griffin-Cousin. Affectionately called “Rev. Val”, Valerie Eugenia Kendrick-Cousin is a native of Chicago, Illinois who spent the formative years of her life in Anniston, Alabama, where she attended middle and high school. From there she attended Alabama State University in Montgomery, Alabama where she received her Bachelor of Science degree in Accounting. Rev. Valerie returned to school in 1993 to earn her Master of Public Administration degree in Nonprofit Management from Seton Hall University. In 1999, she earned a Certificate in Fundraising and Development from Marymount College; and in 2009, Rev. Valerie received her Master of Divinity degree in Preaching and Worship from Columbia University/Union Theological Seminary. For over twenty years, Rev. Valerie served in various capacities in higher education administration as a senior level business officer at several colleges and universities. 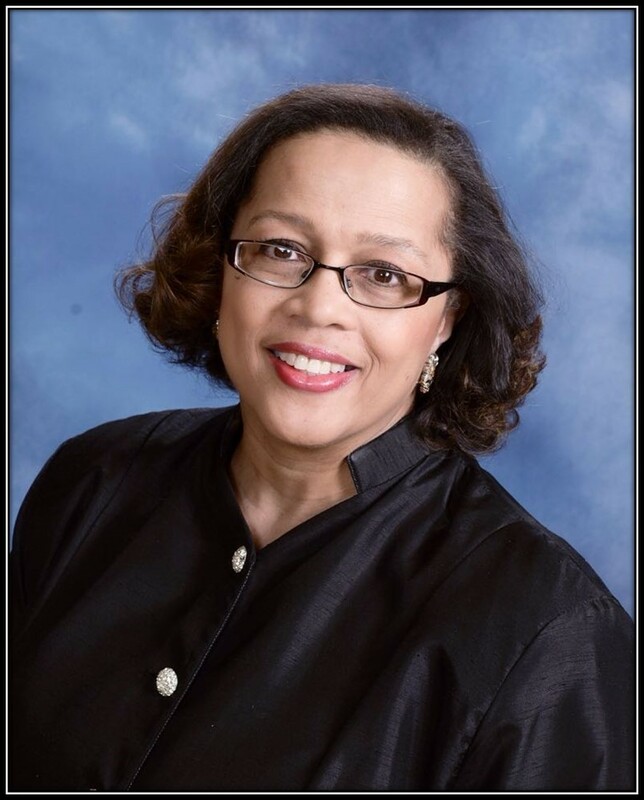 She is a Silver-Star member of Alpha Kappa Alpha Sorority, Inc., and is a past member of Jack and Jill of America, Inc., Westchester Chapter. She currently serves as secretary to the board of directors of Bridge Street Development Corporation. In her spare time, Rev. Valerie enjoys reading, writing, journaling, and spending quiet time with God. Married to her college sweetheart for over thirty years, together they are the proud parents of two sons: David Byron, Jr. and Matthew Joseph; and one lovely grandchild, Melody Joan Griffin-Cousin.